Vehicular queues have returned to most of the Fuel stations in Lagos and other parts of Nigeria amidst rumors that the NNPC is set to increase pump price of Fuel and other petroleum products. NNPC has however denied claims of increasing pump price of petroleum products. In a statement released last night, NNPC says the pump price of petrol will still remain N145 per litre and that they have enough stock that will go round during this festive period. 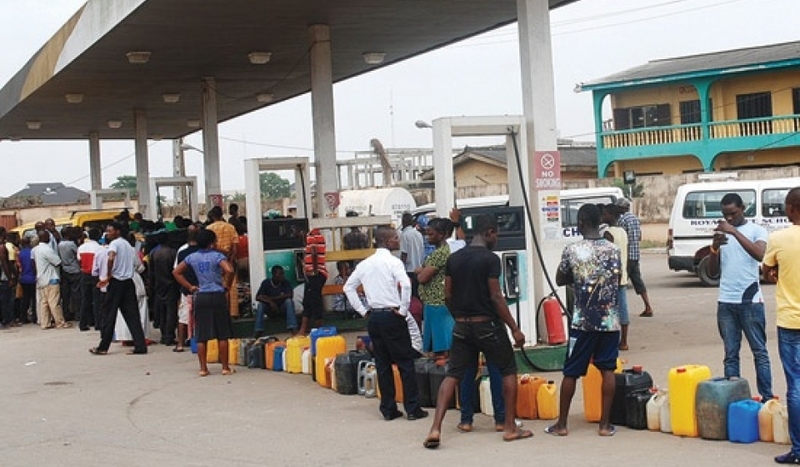 As early as 4am this morning, vehicular queues were noticed in many fuel stations in Lagos./ Some of the filling stations were selling while some others weren’t, insisting they do not have any fuel left in their reservoir.